The story idea was great...the execution terrible. The whole book felt like I read bullet points of a story. Too many convenient events and sloppy writing. All the events were cliche and extremely predictable. Glad this was free, not worth time or money. Honestly I read better fan fiction written by 13 year olds :( So much potential for the story to be great. 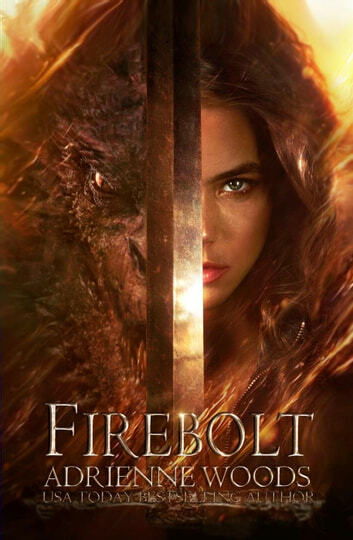 "Firebolt" is the story of Elena, a girl who suddenly finds out that dragons do exist after her father is killed - and not only that, she'll have to go to school with some of them from now on. She discovers a world that is completely strange, Paegeia, and has to deal with a lot of new information, impressions and also classes. She is to be trained to ride a dragone at some time and the education she had prior to her arrival didn't really prepare her for that. It's no wonder that she is completely overwhelmed, as she also mourns her father. Some reviewers have criticized that Elena cried easily and was initially completely helpless, but I thought that this was very realistic. She is 16 years old, lost her only parent and is thrown into a strange world. Of course she reacts emotionally. I found it rather admirable that she never gave up and was ready to fight and stand up for what she felt was right. She must learn to believe in herself and do things she never thought possible while finding friends (and a boyfriend). The characters are unfortunately still a bit blank, which can be explained by the fact that the book is told from Elena's point of view and therefore only offers a limited view on her friends and acquaintances. There are already scenes, however, in which it is shown that Blake is more than an arrogant, potentially dangerous idiot and that her friends also have flaws. 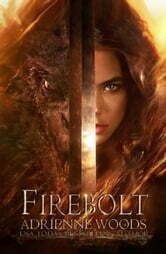 I hope that the second book will show more of it; it didn't really bother me in "Firebolt", but I would like to see more developments in a few more characters. I adored the world building. Paegeia is interesting so far, I liked the categorization of the dragons and the historical background. There were some scenes in which the reader got a lot of information at once since Elena got some kind of crash cure, but the author also weaves tidbits through her story. She also teased certain events; we still don't know much about the more recent events and their impact, yet there is enough to get an idea on what went down. The speculation is certainly fun. The plot was interesting and (especially towards the end) very gripping; while the first volume is largely self-contained, there are still a few things left open, and I already have some theories about the role Elena is going to play and the connections between events. Let's see if I'm right - I can't wait to find out. I really enjoyed reading Firebolt. Dragons..Magic. ..fantasy. .its got everything I love. I am buying Venom next. Can't wait to continue learning what happens next. My favourite dragon book! Full of passion, sacrifice, adventure, love, darkness and emotions oh full of them! I cried more than once! That series is just epic and for fantasy adventure lovers it's just perfect read it!